The girls had their second pediatrician’s appointment today. 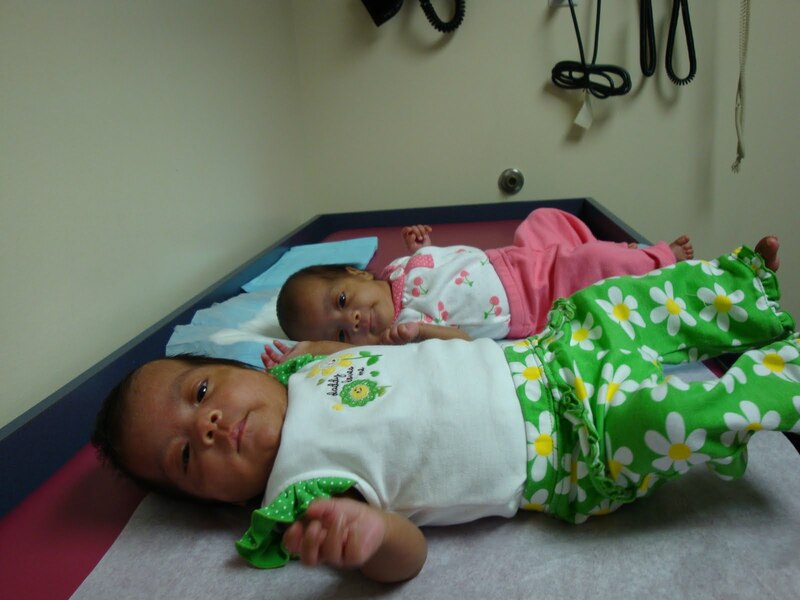 The highlight was finding out how much they’ve grown…Eva weighs 7 lbs 3 oz, and Zoë weighs 5 lbs 10 oz. Such big girls, our sweet babies!